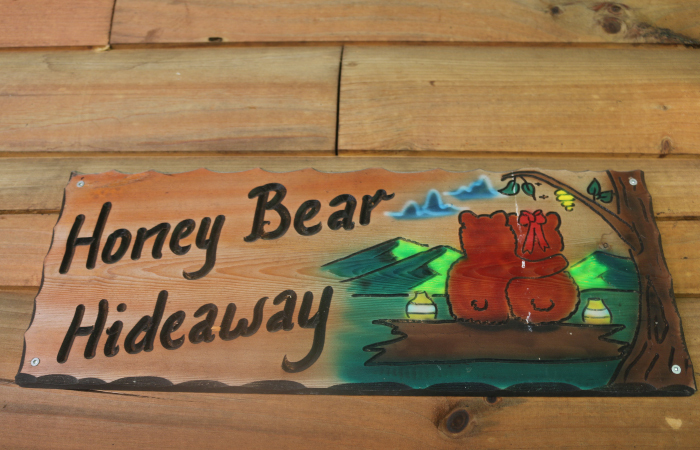 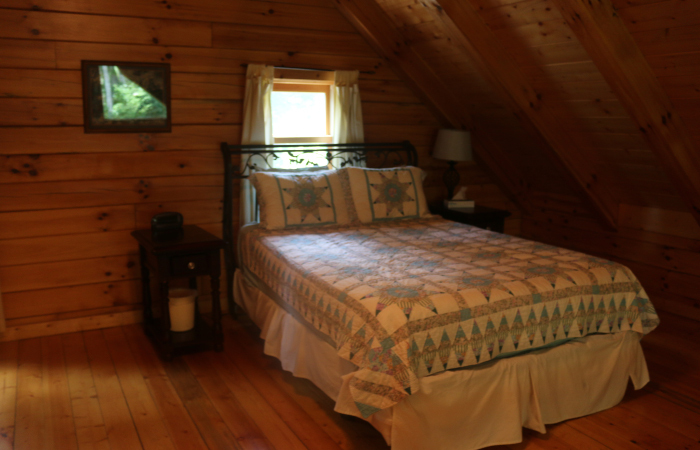 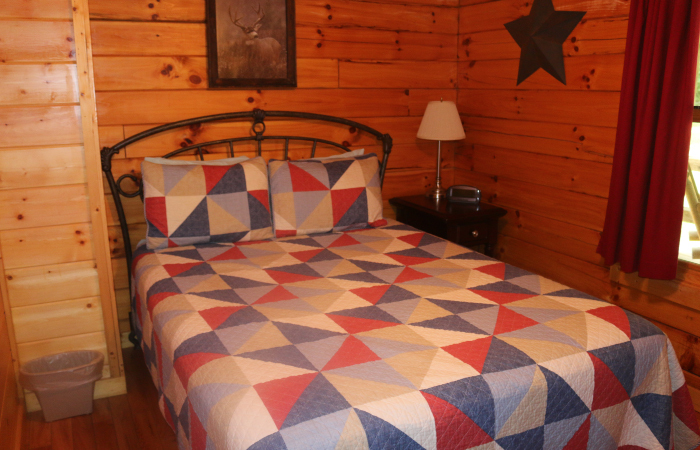 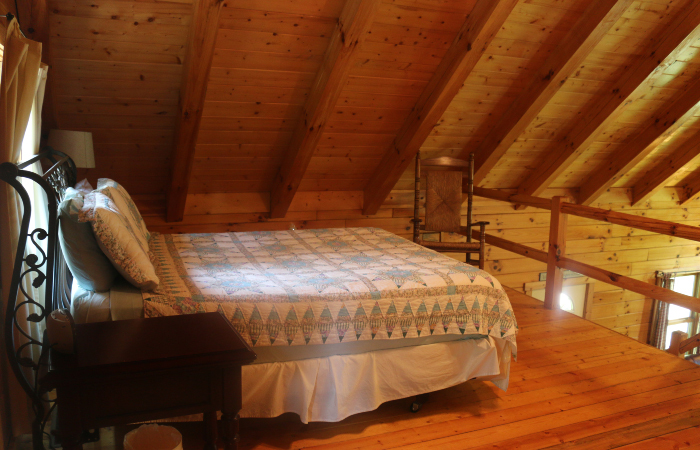 A gentle breeze, a soft hush, and serene atmosphere await you at Honey Bear Hideaway. 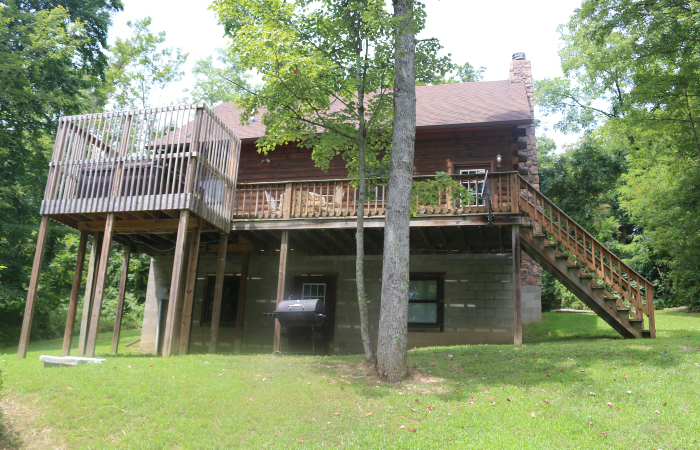 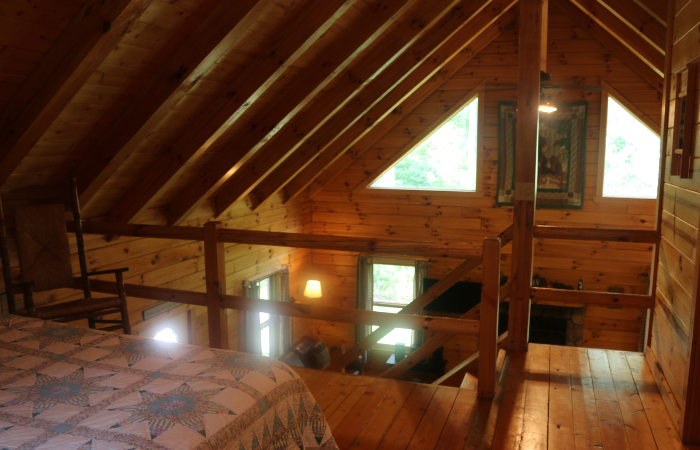 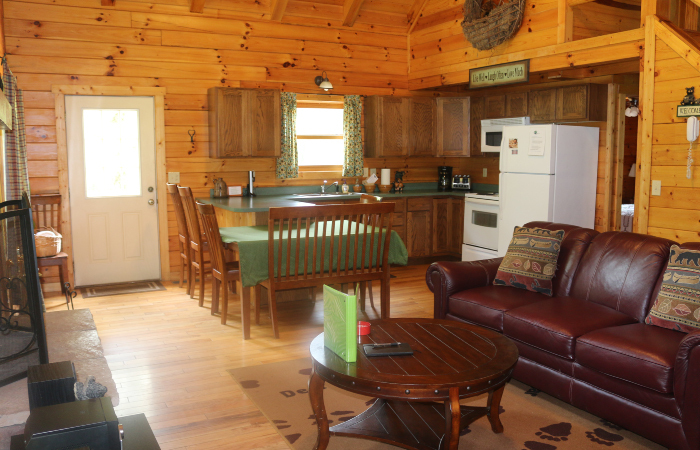 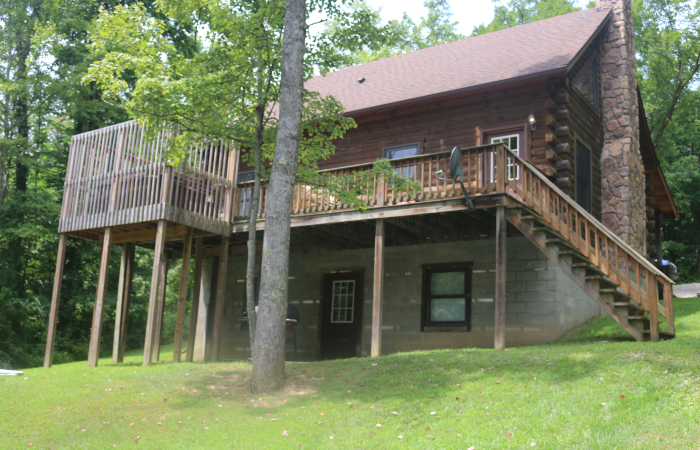 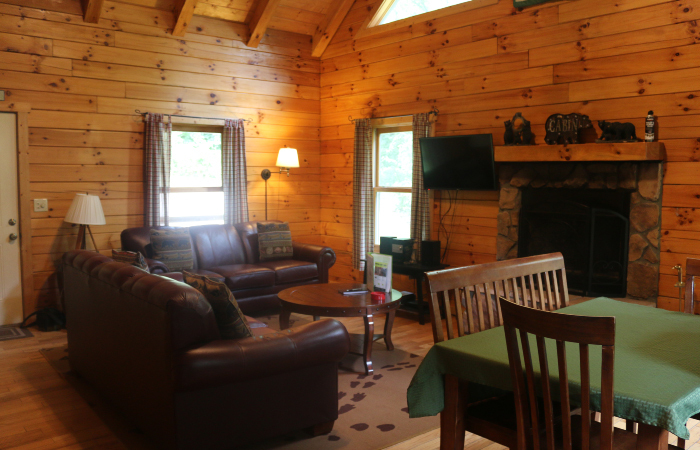 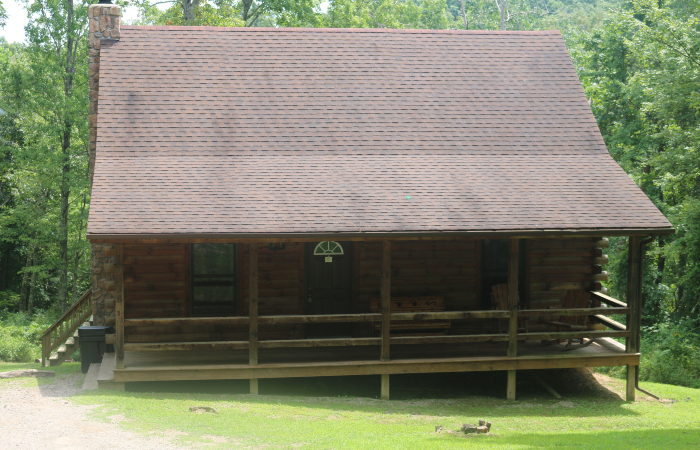 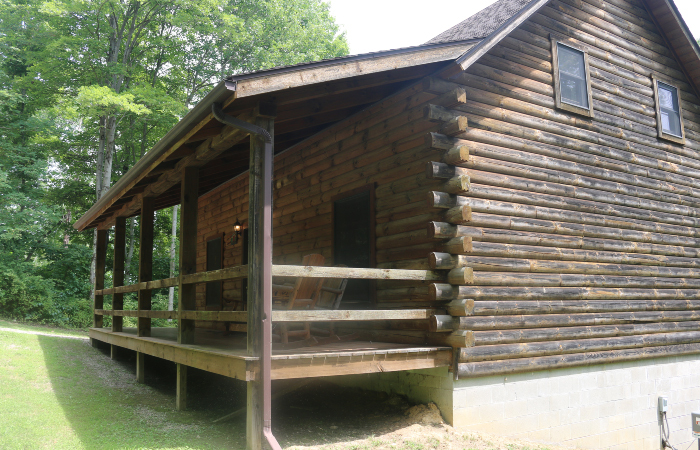 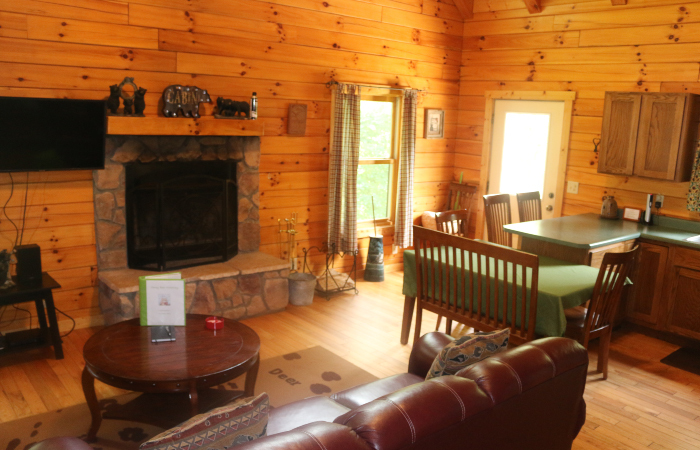 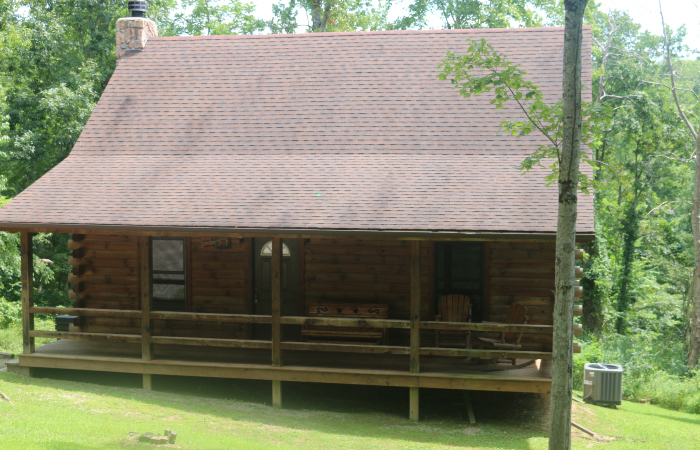 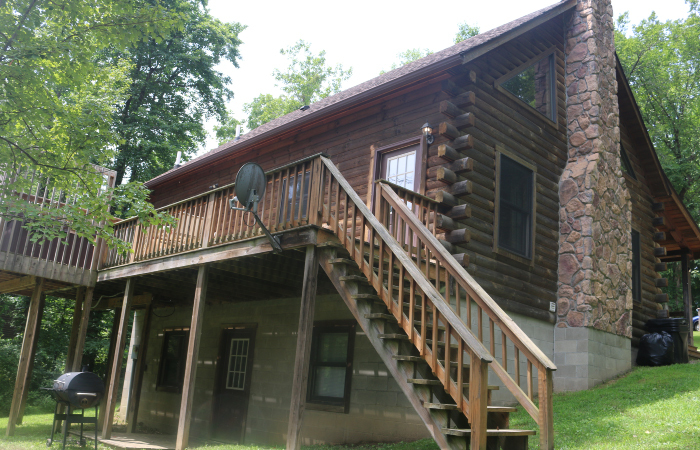 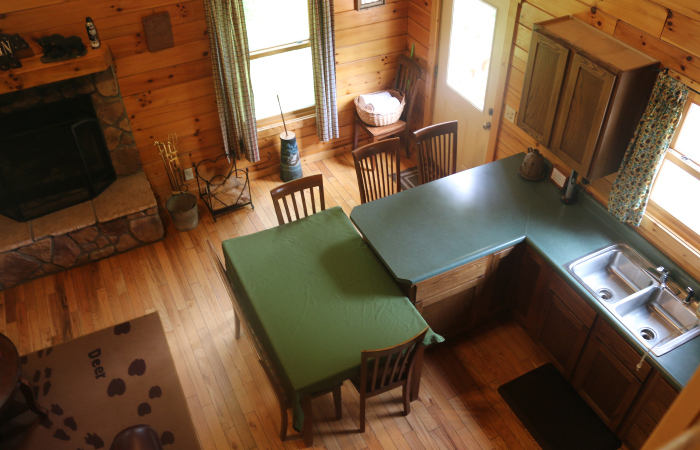 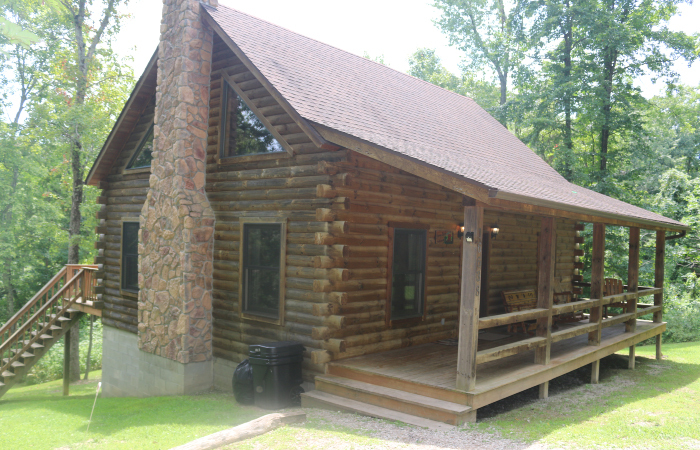 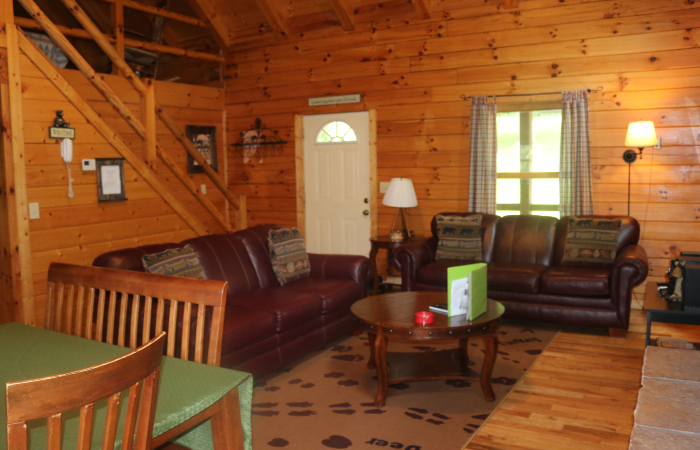 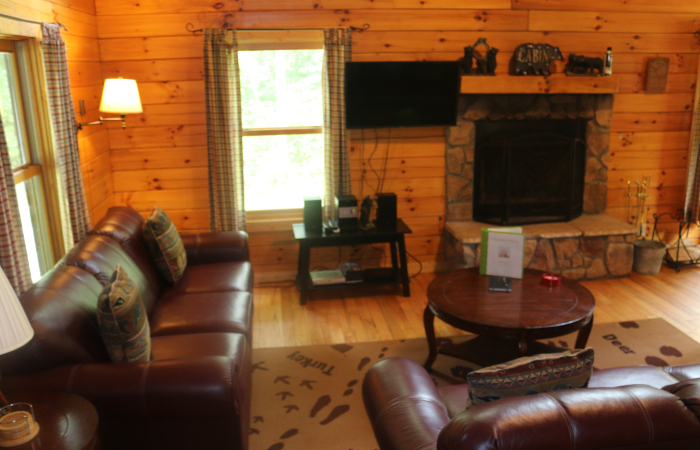 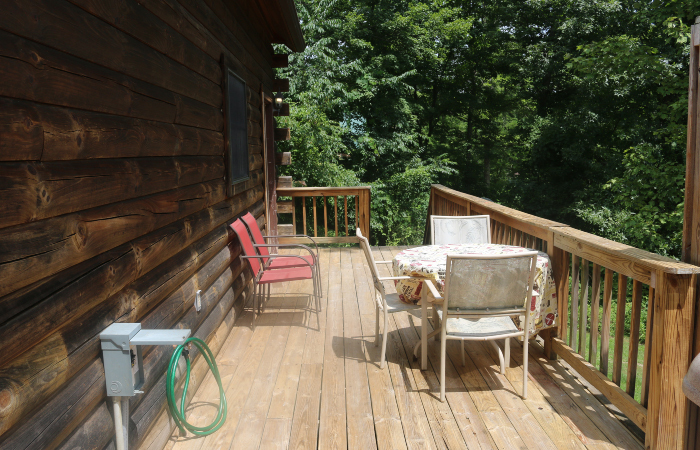 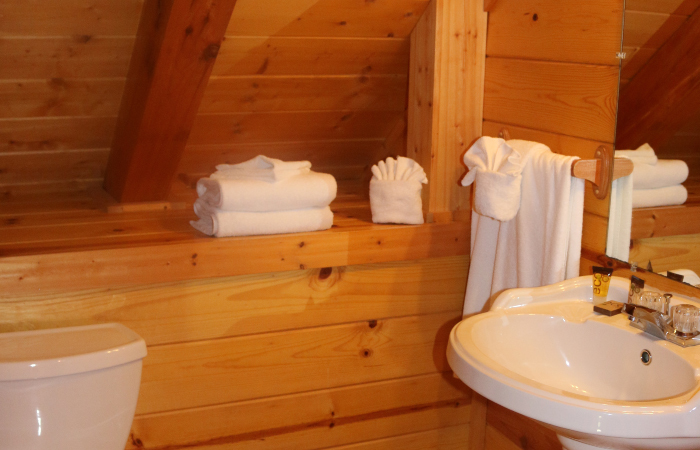 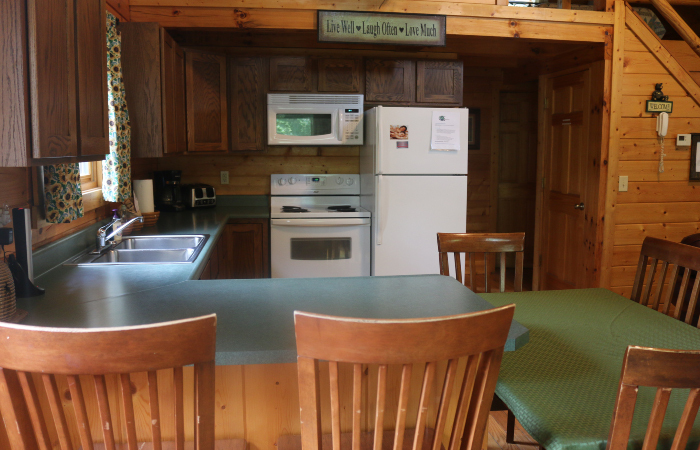 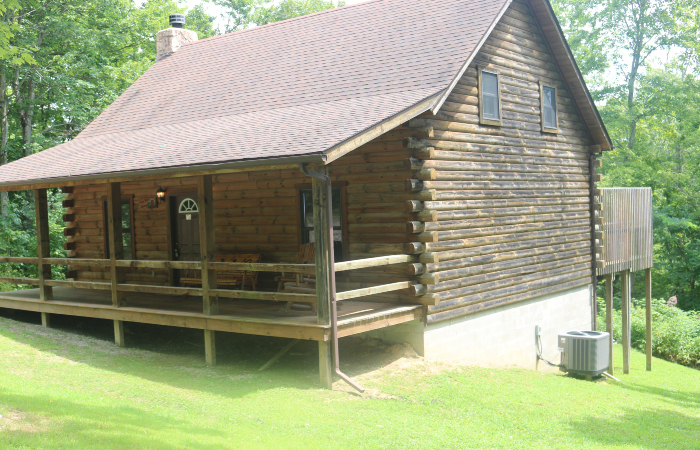 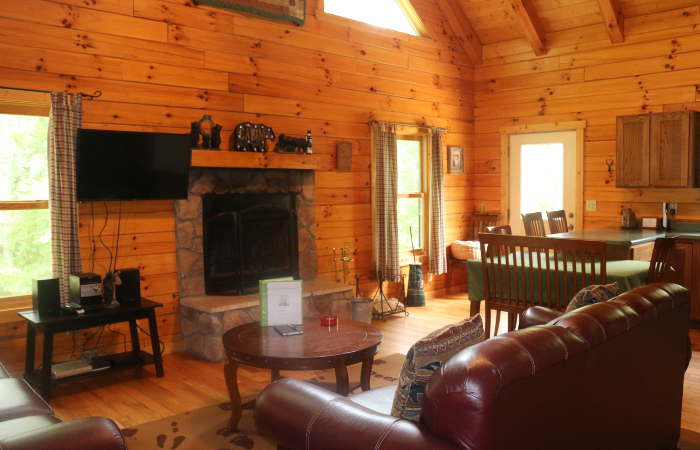 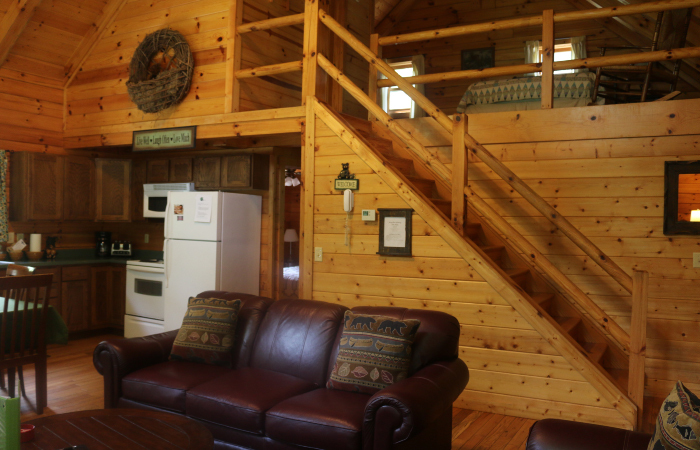 This three bedroom log home has everything you and your family need for a relaxing Hocking Hills getaway. 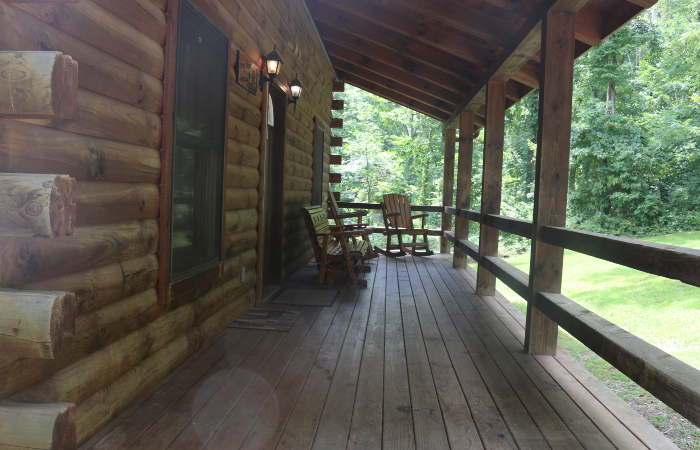 Have a seat on the covered porch and enjoy the sounds of wildlife or hike the day away and soothe yourself in a bubbling hot tub. 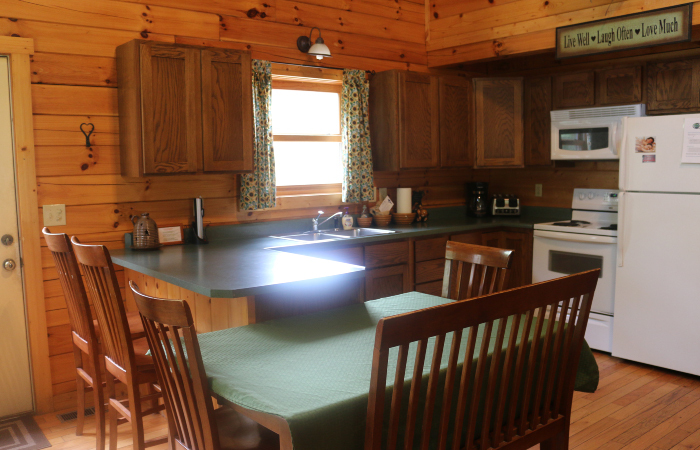 The open kitchen and great room are cozy and comfortable for dinner and movie. 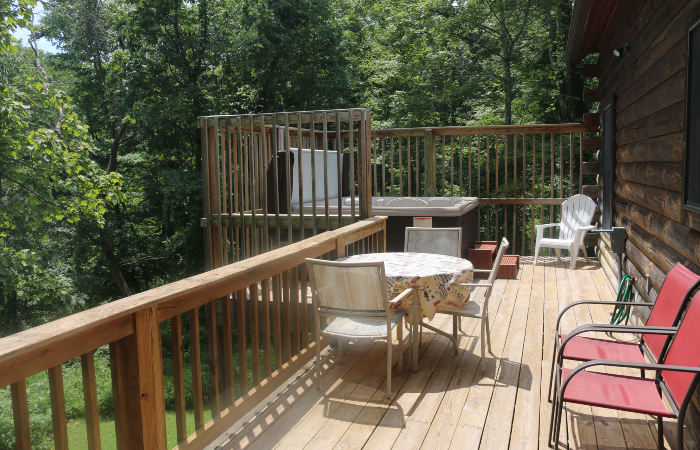 Dining, shopping, area parks, and adventure are just minutes away. 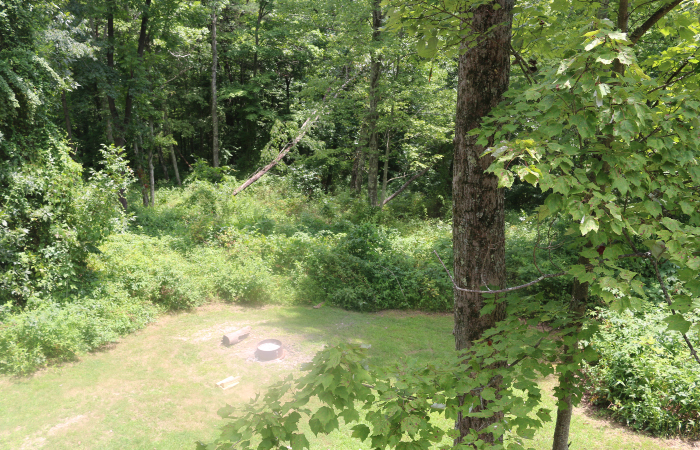 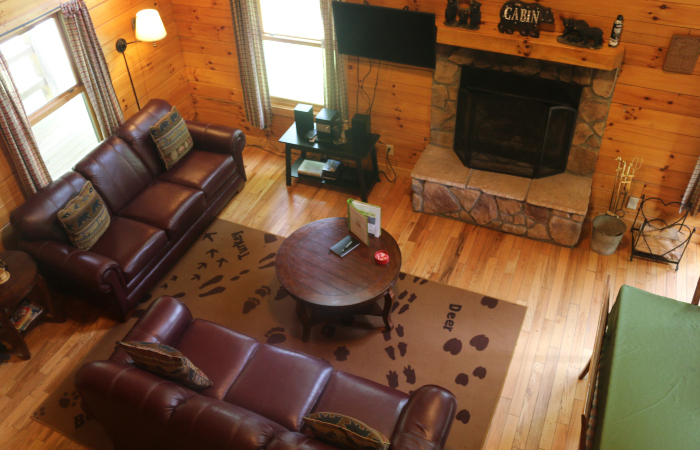 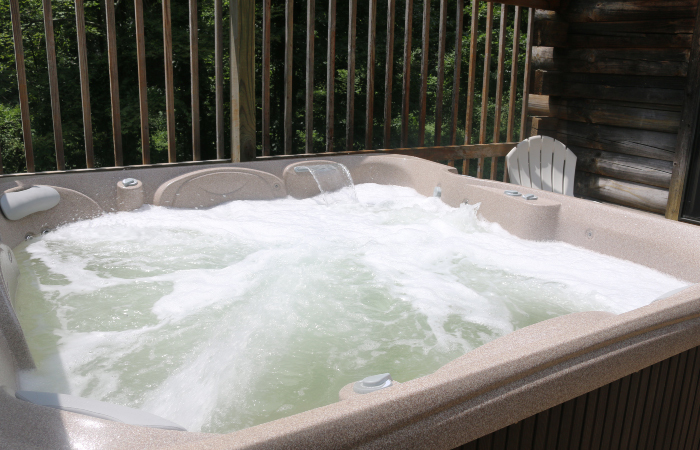 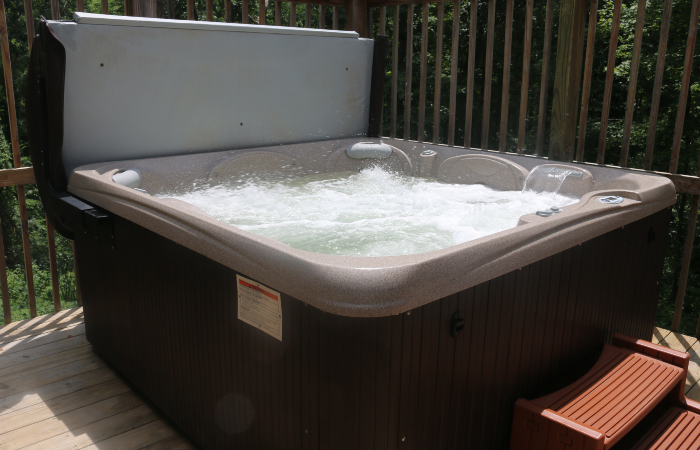 Honey Bear Hideaway is the ideal place to reconnect with family or friends. 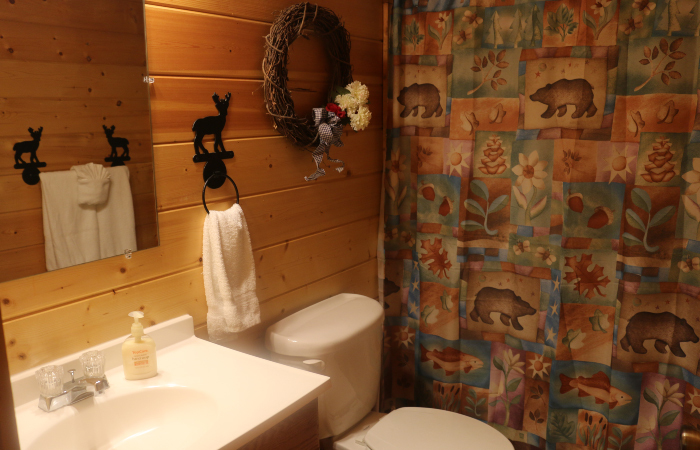 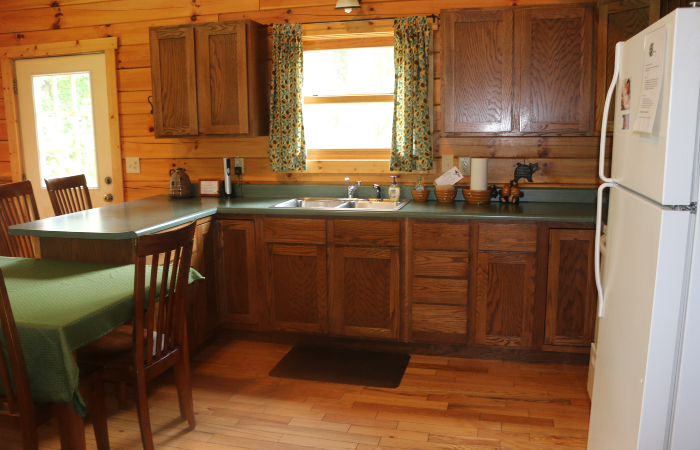 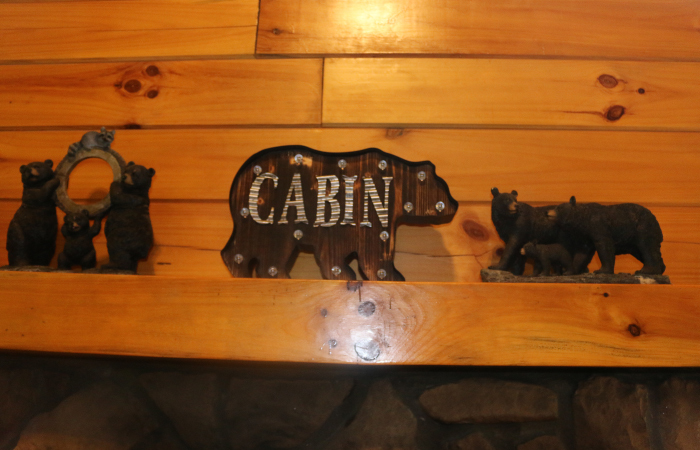 Honey Bear is in a community of log homes on 2-5 acre lots. 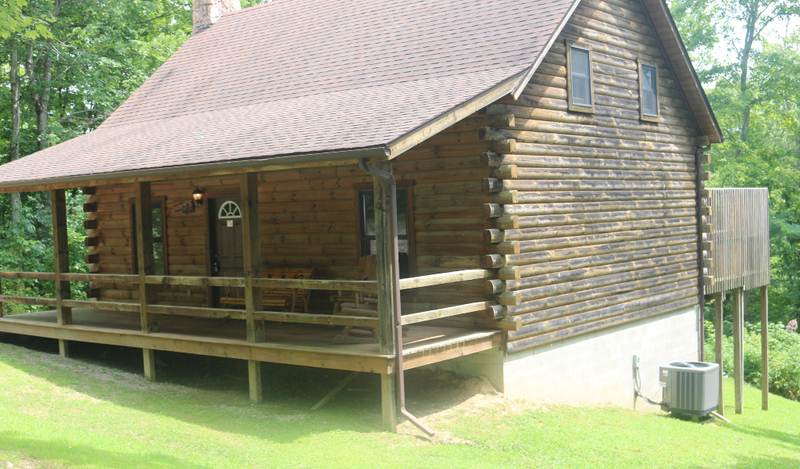 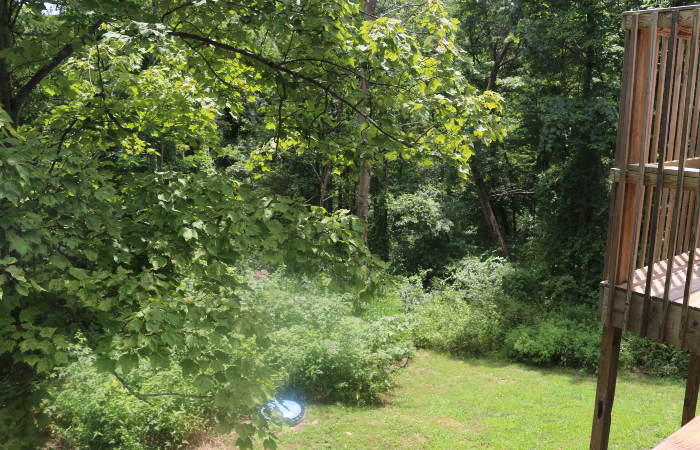 It is on a gravel side road with very little traffic and is surrounded by woods. 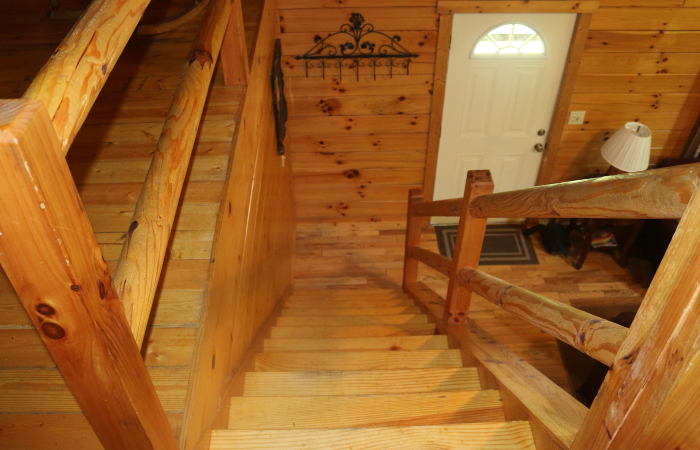 The driveway is short with a slight incline. 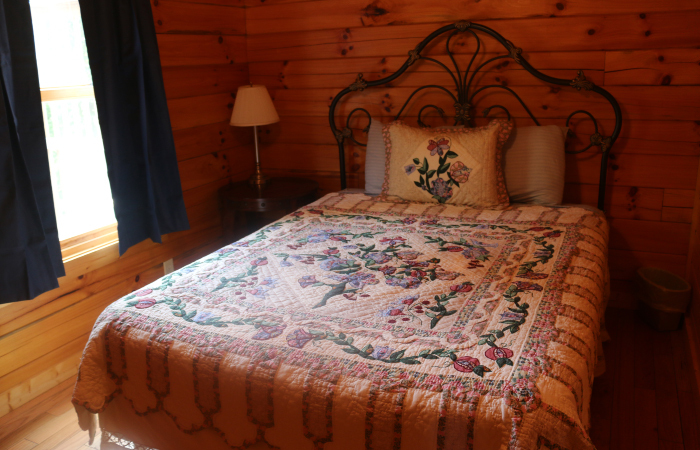 Additional guests $15 each per night.